Few things are worse than air conditioner problems in the summer. Tensions run high when your home becomes a box of hot air, adding conflict and arguments to an already uncomfortable environment. As summer draws to a close, make sure that you're doing these three things to ensure you get through the last hot weeks of the year without any costly mishaps. According to the U.S. Department of Energy, the most important thing you can do to maintain your air conditioner is to simply replace the filters routinely. 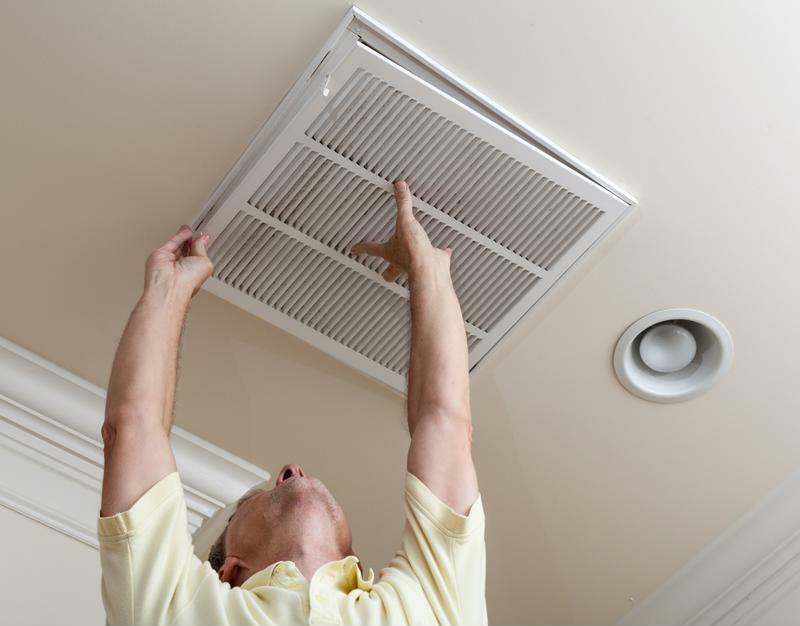 Clogged or dirty filters block normal air flow, lowering the efficiency of the appliance. You should typically change your filter every month or two when you're running the air conditioner consistently, though you may need to replace it more frequently if the unit is being exposed to pet hair or above average amounts of dust. Replacing the filters in your air conditioner regularly will increase the efficiency. While doing your own routine maintenance on your air conditioner will go a long way in ensuring optimum performance, it doesn't replace a regular check-up by a professional if you have central air. Good Housekeeping magazine recommended having someone come out once a year to check both the air and heating systems. Not only will a professional be able to identify any problems, he or she will likely notice if the appliance isn't running as efficiently as it should, which adds money to your monthly bill. While it may be tempting to avoid paying for a consult, it is worth the price to know that your air conditioner is working correctly and possibly receive tips on how to save energy. Doing what you can to prevent problems with your air conditioner before they happen is a smart move, but it doesn't mean that you'll be able to ensure that unexpected problems won't arise. Protect your home against the problems that you can't prevent by purchasing a home warranty. Total Protect's Systems Plan will cover both your air conditioner and heater, as well as ceiling fans, water heaters and other systems. The plan offers home protection from problems caused by normal wear and tear, something not covered by homeowner's insurance.